It’s a legendary night when C.A. Cupid, Poppy O’Hair, Ashlynn Ella and Blondie Lockes are invited to the hexclusive Blue Moon Forest Fest! Located deep within the enchanted forest, the girls venture “through the woods” to find this epic event. Whether or not they are following in their parents’ fabled footsteps, they are definitely following their chosen path to get to what is sure to be an epic event! 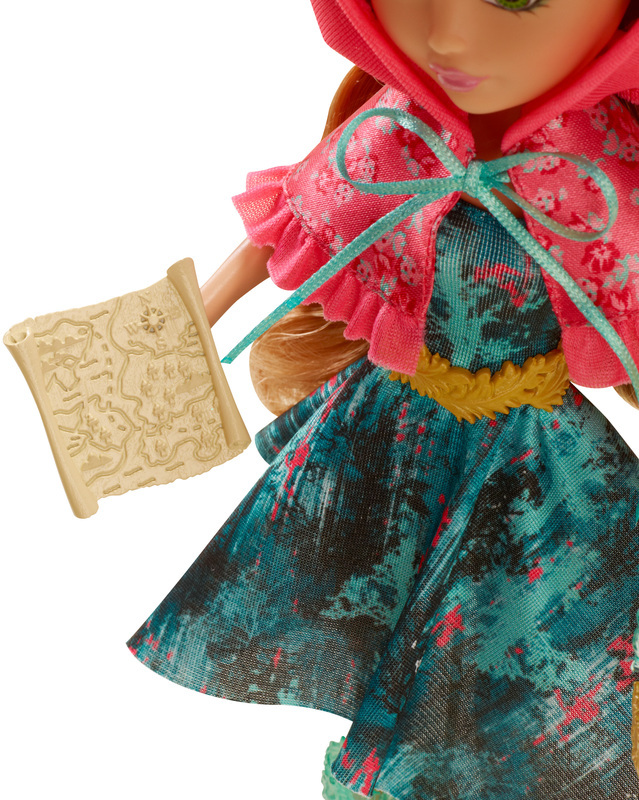 Ashlynn Ella, the daughter of Cinderella, has dressed for the occasion in a spellbinding dress with a forest print in shades of aqua with touches of pink that match her hexquisite capelet with ruffled hood and satiny tie. A golden belt and bracelet make her the belle of the ball! Stylish mint blue cutout boots and a matching lantern will be oh-so-useful on her journey through the woods. 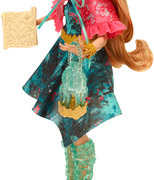 And don’t forget the map -- Ashlynn Ella doll can hold it in her hand! Doll also comes with a doll stand and hairbrush (to style her gorgeous strawberry blonde locks). Watch the “Through the Woods” story unfold in new webisodes. Collect all of the spellbinding students of Ever After High (sold separately) for hexquisite display and storytelling fun. Each sold separately. Ages 6 and older.